After Nazia Hasan’s breakthrough in the Bollywood film industry with Aap Jaisa Koi (Qurbani) in 1980, Rahat Fateh Ali Khan’s Munn Ki Lagan for the film Paap in 2004 (produced by Shahi Hasan and Faisal Rafi) is what kick started the trend in more recent times. Rahat went on to release popular numbers such as Jiya Dhadak Dhadak (Kalyug, 2005, produced by Rohail Hyatt), Naina (Omkara, 2006), Jugg Soona Soona Laage (Om Shanti Om, 2007) and O Re Piya (Aaja Nachle, 2007) among others. From 2004 to now, he’s done playback singing in a little more than 25 Bollywood films, and of late he’s also worked on the soundtrack of My Name is Khan (2010) on a song titled Sajda. In 2002, Rahat collaborated with an American act known as the Derek Trucks Band on a song called Maki Madni on their album, Joyful Noise. Rahat also collaborated with Sukhshinder Sinha on a song titled Gum Sum for the latter’s album, Collaborations Two. His work on soundtracks for films isn’t limited to Bollywood alone. 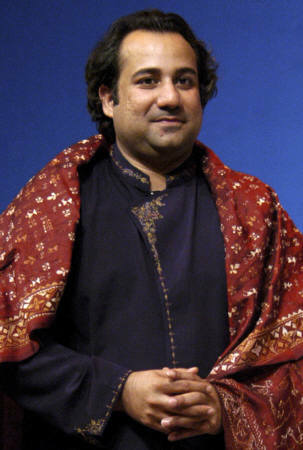 In 2002, Rahat sang for the soundtrack of the Hollywood film, Four Feathers, and in 2006 he worked on the soundtrack of the Mel Gibson film Apocalypto (produced by Rohail Hyatt). When it comes to soundtracks, Strings may not have the rather massive portfolio of Rahat, but it isn’t far behind. Perhaps the biggest news to hit the music block was the fact that Strings did the soundtrack (a song titled Na Jane Kyun) for Spider-man 2. 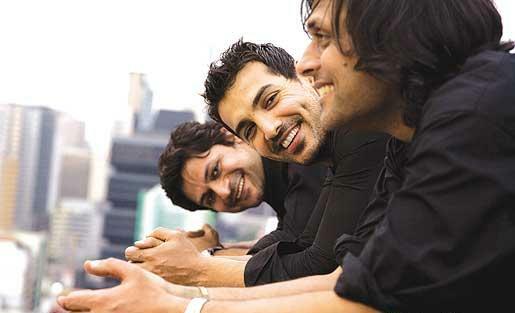 It went on to release popular singles for Bollywood films such as Zinda Hoon for the film Zinda (2006). The video features Bollywood actors Sanjay Dutt and John Abraham. That soundtrack became the favourite of quite a few Bollwood personalities, earning endorsements from the likes of Amitabh Bachchan and Rekha. Strings also contributed to the soundtrack of Shootout at Lokhandwala with the single Aakhri Alvida in 2007. Both Faisal Kapadia and Bilal Maqsood are ambassadors in the fight against HIV/Aids for the United Nations. Our boy wonder has finally broken into the Bollywood circuit and is now considered to be very popular there. Back in 2005, two remixes, those of Woh Lamhe and of Aadat from his debut album Jalpari, became soundtracks for Bollywood films Zeher and Kalyug, respectively. Atif’s career then followed a string of hits in Bollywood which included Tere Bin (Buss Aik Pal, 2006), Pehli Nazar Mein (Race, 2008), Bakhuda Tumhi Ho (Race, 2008) among others. He’s contributed to a little more than 10 Bollywood films and is currently working on the soundtrack of the upcoming Shoaib Mansoor film Bol, for which he is coming out with two singles, one of which will see a collaboration with Annie Princess. 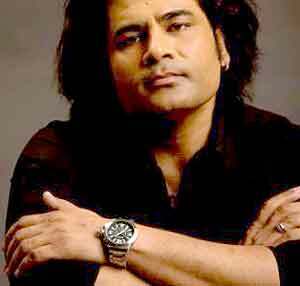 Who doesn’t remember Shafqat’s rendition of Mitwa for the Bollywood film Kabhi Alvida Na Kehna in 2006? Shafqat’s foray into his solo career has served him well. He sang Yeh Hosla for the film Daur (2006) as well as the background score for Hello (2008), Mumbai Cuttings (2009) and Aashiyaan (2009). He also sang a hit title song Tum Mile for the Bollywood film of the same name in 2009. His first single from his solo album, Kheriyaan De Naal, was very well received in both India and Pakistan. 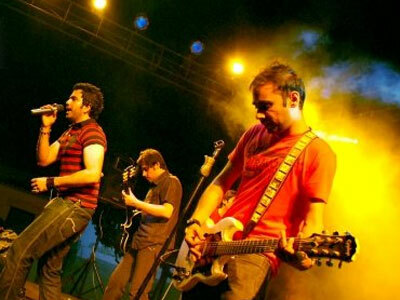 The what-used-to-be rock band Call has also worked extensively in Bollywood. Notable contribution includes the song Laree Chotee for the film Ek Chalees Ki Last Local in 2007. Two of their other singles Dhadkey Jiya and Yeh Pal, both released in 2009, have been picked up for two other Bollywood ventures, one of which includes the film Aasmaan. The latest Pakistani singer to hit Bollywood in a big way is Ali Zafar, so far the only musician to have bagged an acting role. The film Tere Bin Laden is due for release in summer this year. In it, Ali Zafar has also sung a duet with Shankar Mahadevan which will run as the background score throughout the film. An event that has consistently worked through thick and thin and put a definitive international spotlight on local and foreign talent is the KaraFilm Festival. It has been around for over eight years (the first festival was held in 2001), shown and premiered a plethora of both local and foreign films. The event is actively attended by film-makers and actors from the world over which included the likes of Mahesh Bhatt, Jamil Dehlavi, Nandita Das and Ajay Devgan among others. As a festival that seeks to promote the art of storytelling through a visual medium, the festival has come a long way from when it first started and is now considered to be among the world’s most prominent film festivals.